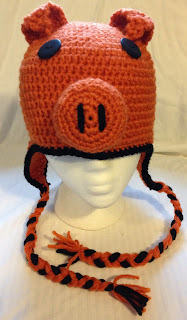 I started with the basic earflap hat in orange with black accents. Then I added ears which were turned down, a snout filled with Poly-fil for a 3-dimensional look, and two black buttons for eyes. Then I thought it would be fun to add a little curly tail to the back of the hat. Finally, I added the name of the business to the back as well. 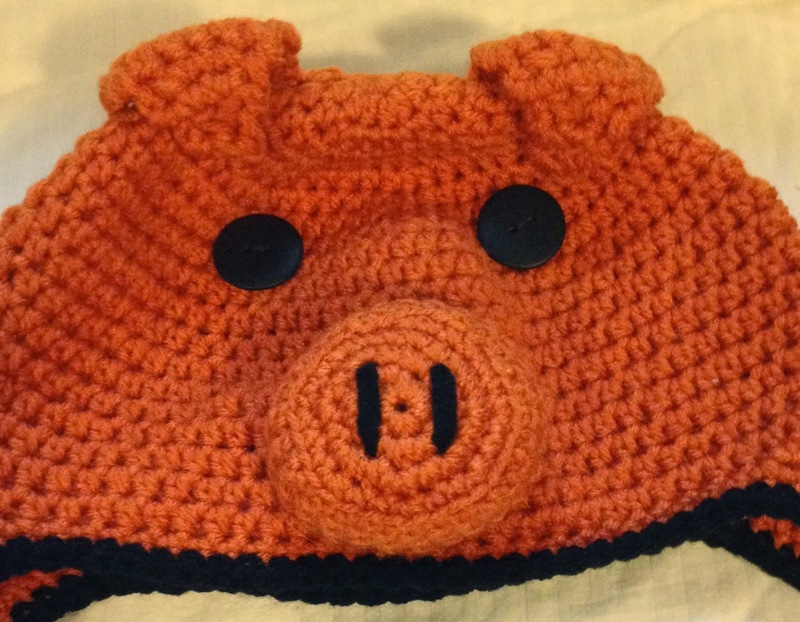 Now the owner can wear a great promotional product for his business, and it's not girly at all! 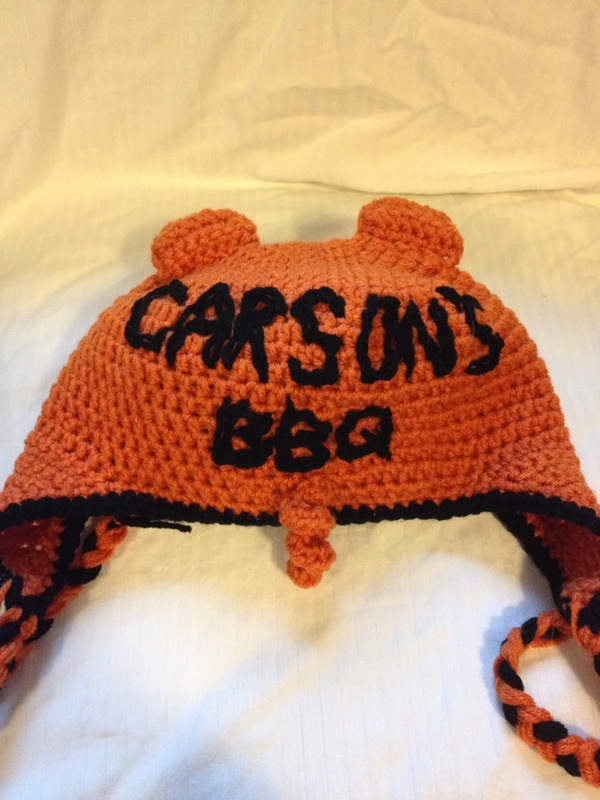 By the way, Carson's Catering & BBQ is located on the eastern edge of Ellettsville, Indiana and they have WONDERFUL food! Even my two "picky eaters" ate it up!